Crime-thriller series “Stranger” ended with much fanfare Sunday, achieving 7.3 percent viewership at one point during its last episode. The tvN drama that aired Saturdays and Sundays was lauded for its gripping plot and strong performances. “I believed that we could ... have a good-hearted influence on the world,” actor Jo Seung-woo said of the series. 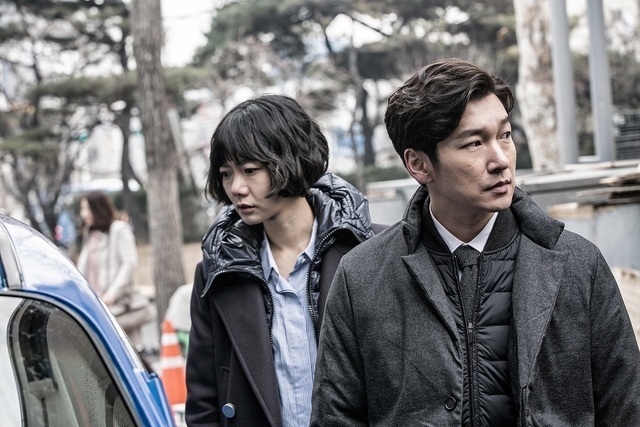 Jo played seemingly unfeeling, loner prosecutor Hwang Si-mok alongside Bae Doo-na, who played passionate, justice-seeking police investigator Han Yeo-jin. The series, directed by Ahn Gil-ho, is scriptwriter Lee Soo-youn’s debut work. “Many things need to fall into line for the making of a second season. ... I’m honored that people are even asking for a second season,” Lee said Monday. The series is available for streaming on Netflix.